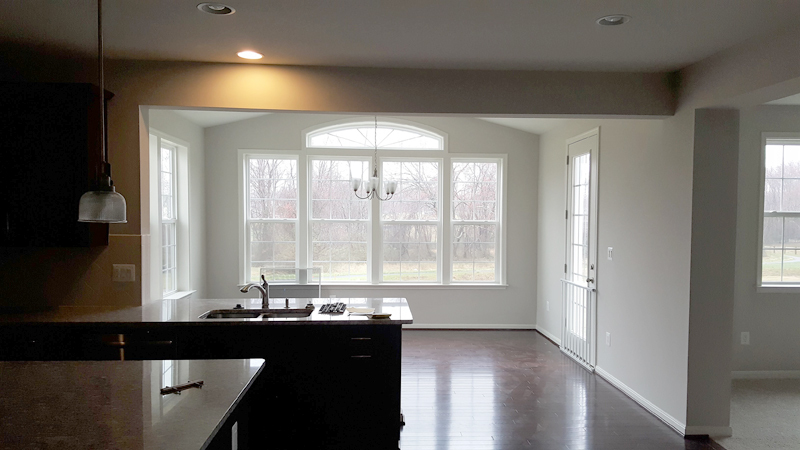 Rock Creek Decks and Additions, LLC is a full-service Howard County Maryland | Chevy Chase MD contractor that specializes in decks, sun rooms, basements, garages, and additions. Whether you are looking to refresh an existing space or create a whole new one, we will work with you to make your dreams a reality. We understand how important your home is to you, which is why we have a quality assurance guarantee. Comments: Outstanding service and the workers were impeccable with their detail. 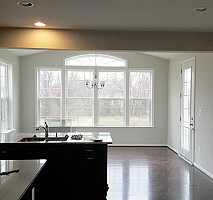 Comments: The crew working on my job was first-rate: punctual, clean in their work, focused, and thoroughly competent. The crew chief made several suggestions that improved the look and functionality of my bathroom layout. 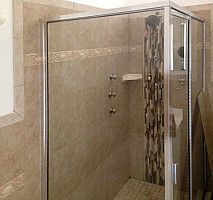 Comments: Fantastic work , 2 day job was professional, came on time, did the work, cleaned up, no problems yet!!!! Great job! Comments: After a long series of disappointments with contractors, I started to wonder if good, responsible, and affordable contractors in the Washington, DC area are rarer than unicorns. I can't recommend Rock Creek Decks and Additions enough. 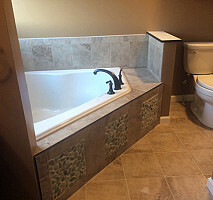 They did a great and professional job remodeling our bathroom, kept to schedule, were flexible when we wanted tweaks to the original plan, kept our house clean, and made sure we were happy well after all the checks had been cashed. 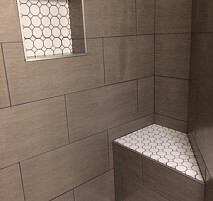 We felt that the team took pride in their work, which in my mind is really the best indication of a really solid contractor. Comments: Great work, easy communication, overall a very solid job. Will be using them again. 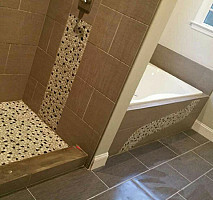 Comments: This project was performed in a coop apt where restrictions on access, with time work can start and end. 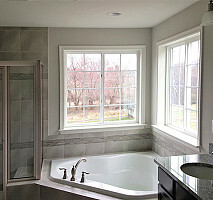 The project was the removal of a tub and all tile ,sink and cabinets, and install a shower with sliding glass doors, new vanity, mirror and paint. All aspects were done to perfection including options to consider. 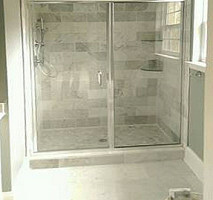 Very experienced, professionally completed. Priced competitively.